But what about survivors of violence who don’t have this kind of publicity or support? No one knows the exact—or even approximate—numbers of people behind bars who are survivors of family or domestic violence. A 2014 study found that 84 percent of girls in the juvenile justice system had experienced family violence before incarceration. Nearly half of all adult women in jails and prisons reported being abused before their arrest. That data was published in 1999, nearly 20 years ago, and continues to be the most recent national information available. 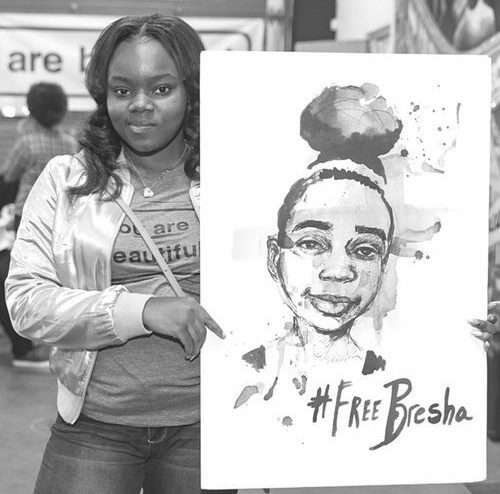 Mariame Kaba is one of the founders of #FreeBresha. She is also a co-founder of Survived and Punished, a nationwide coalition supporting criminalized and incarcerated abuse survivors. At the same time, people need to pay more attention to their local district or state’s attorneys, who have the power to decide whether to charge a person for crimes related to domestic abuse or to allow them to go home. “Find out what is happening, who is being charged. Do some court watching,” she recommended, referring to the practice of sitting in a courtroom and taking note of who is charged and with what crime. She also reminded Rewire that district attorneys are usually elected officials who can be voted out of office—and they, in turn, appoint juvenile prosecutors and assistant district attorneys. “If you don’t know who your local prosecutor is, find out and monitor them. If they’re always talking about ‘law and order’ and harsh punishment, vote for their challenger,” she said. She points to the 2016 #ByeAnita campaign, which ousted Cook County State’s Attorney Anita Alvarez. Alvarez took more than one year to charge Chicago police officer Jason Van Dyke for fatally shooting 17-year-old Laquan McDonald 16 times. However, Alvarez was quick to prosecute an abuse survivor; in 2011, she prosecuted Tiawanda Moore, a Black woman who was groped by a police officer responding to a domestic violence call. 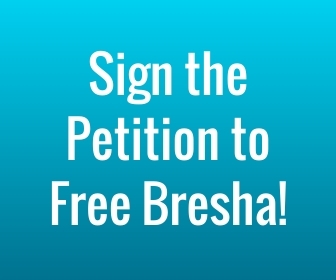 Her repeated calls to Chicago’s internal affairs department were met with attempts to intimidate her into dropping her complaints. Frustrated, she recorded their interactions, but in Illinoisat the time, it was illegal to record on-duty police. Alvarez’s office immediately charged Moore with criminal wiretapping, which carried a possible 15-year prison sentence. A jury ultimately acquitted Moore. But Alvarez’s office failed to investigate, let alone charge, the investigators who discouraged Moore from filing a complaint. In 2015, Alvarez immediately filed first-degree murder charges against Naomi Freeman, a 23-year-old Black mother charged in the death of her abusive boyfriend. But after Alvarez was ousted from the prosecutor’s office during the 2016 election, her successor Kim Foxx was willing to meet with advocates who spoke about the dynamics of domestic violence and urged her not to prosecute Freeman, along with two other domestic violence survivors facing charges. Ultimately, Foxx’s office dropped charges against one survivor and reduced charges against Freeman to involuntary manslaughter, which carried 30 months of probation, but no prison time. (The case of the third survivor is still ongoing.) What was the difference? “The difference was no Anita Alvarez,” said Kaba. Ultimately, Kaba noted, “If less prosecutors filed charges against survivors, then we’d have less survivors behind bars.” But, while Foxx may prove more amenable to not prosecuting abuse survivors, many other district attorneys currently continue to do so. The survivors in their crosshairs often remain unknown and unsupported, but they don’t have to be. This is where the importance of learning—and then acting—comes in.